Litographs takes the manuscript from classic books and creates an illustration relating to a theme, character, or setting from each book. Close-up you will be able to see the full or partial text of the book. Each piece is custom printed on vinyl infused paper for high-resolution quality. My sister loved this gift. 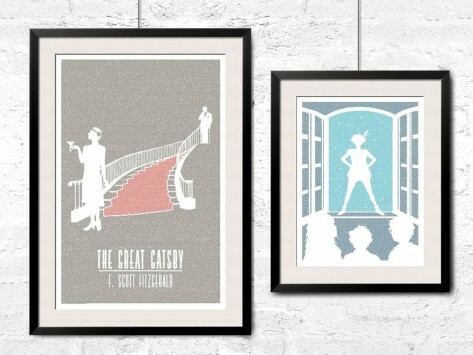 Litographs give all new meaning to the saying a picture is worth a thousand words.